Party Time! 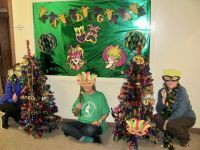 Cajun music filled the air as the residents of Morningstar Residential Care Center donned colorful masks, beads and hats and enjoyed some jambalaya as they celebrated Mardi Gras in Morningstar’s Great Room. 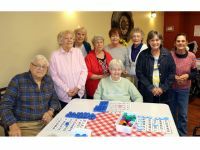 The Mardi Gras celebration is one of many themed activities that Morningstar hosts for its residents.